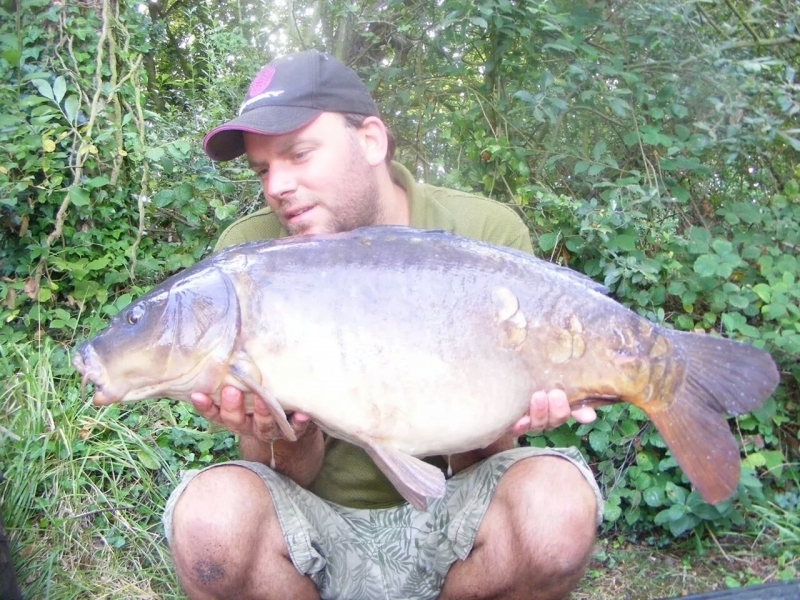 July and August can be funny months for carp anglers because the carp could have another go at spawning if they got interrupted earlier in the year. The high air pressures and temperatures also play a massive factor in these months. Usually I would opt for zigs in these conditions but this particular lake the carp will not take off the surface or get caught on suspended baits. The mere is a special place as it’s 45% covered in pads so therefore fishing accurately, locked up and dropping your leads is essential. In the deepest Essex its another scorcher, I arrive at 10am and have a walk around the mere and after 3 or 4 swims I notice a few carp milling around the pads in the shallow. The carp were only low doubles at best so I carried on next stopping off half way round where I heard some commotion from the main set of pads and after waiting a minute or so I can see the ripples and again they show in the pads. After watching for 15 minutes it is apparent they are here in numbers so I wander back to the van and make the 2 trips to the swim with the tackle. The rods were cast out first time on the spots, the left rod down the margin on the sand in 3ft of water and the right rod inches off the main set of pads in a gap of no more than a foot wide. Both rods were baited with Sticky Baits 16mm Vor-tex and a 12mm pineapple pop-up. Whilst setting up the bivvy the right rod bleeped and then the line lifted in the water. I lifted in to the fish and after a few hairy moments with the fish taking me into pads I netted a 12lb+ mirror. The temperature hit 31c and nothing else happened during the day other than seeing tench spawning again. Midnight arrived with some rain and bang on cue the right rod was off again, this time it felt much bigger and took me further into the pads but after keeping the pressure on it came out, then again into another set about 3 rods lengths from the swim I persuaded it to come out and netted another mirror of 22lb. Trying to get this rod on the money in pitch black is always difficult so I cast the rod out as best I could and set the alarm for 4am for the recast. During the night the left rod was picked up numerous times by bream so that rod was also going to be recast elsewhere. 4am arrives and the rods are both wound in and re-baited ready for it to be light enough to get them on the spots. For some reason I decided to put a white pop-up on the left rod and cast this to a scattered set of pads I had seen some fish crash on during the night. A couple of hours later the left rod was off and this fish decided to swim towards me and miss all the pads but because I haven’t tired it out trying to stop it going into the pads it is tearing up and down the edge and after a few near misses of taking the other rod out a 21lb+ mirror is netted.